We want to introduce a product from our plantation. 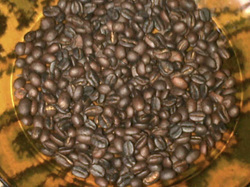 Arabica coffee Sumatra is famous pleasures. Both the texture and aroma of the flavors. We are a buyer looking for a Arabica coffee distributor and long term completely from all regions of the country that want to do business with. For Stock we have a lot of stock for the season. While for us to provide the best price for you by way of direct contact through contact that is already available. And we are ready to send to the rest of the archipelago.